Mr. Panagiotis Louizos is Corporate and Stakeholder Relations Planner at the Global Reporting Initiative (GRI) in Amsterdam. At GRI he has been involved in the business planning and project management of the Network Relations Department for the last two years. He is working in the GRI Organizational Stakeholder Program, which connects more than 600 organizations from over 60 countries, committed to advancing sustainability reporting. He is also working closely with GRI’s Focal Points, which are national offices that drive GRI activity in particular countries and regions. Panagiotis presented the G4 Guidelines at the official Greek G4 launch event in Athens, Greece in December 2013. He holds an MSc in Management (University of Bath, UK) and a BSc in Forestry and the Natural Environment (Aristotle University of Thessaloniki, Greece). Mrs. Ramona’s da Gama passion for helping businesses and people GROW started 15 years ago after a very successful career in Fleet Street, the heart of the newspaper industry in the 80s and 90s, where she worked on the London Times and Sunday Times and the Mail on Sunday. Today Ramona works with her clients helping them to clearly understand what their offering is and how to position their brand in the market. She works with them to create a strategy aligned with their vision, their purpose and, values. She creates the necessary mindset shifts with their leaders to create and cascade behaviours which bring to life sustainable business initiatives that are embedded the business culture. Ramona also coaches and mentors Senior Executives and individuals to build on their personal brand. To understand their purpose, their values and how best to achieve their vision for their future and by knowing where to position themselves in the market help them to gain a competitive advantage and become more visible within their organizations or to help them move on and achieve their goals when looking for new and different opportunities. Ramona has as a Business Coach had some very challenging, exciting and satisfying experiences working with Sir Stellios to launch the very successful Easyjet, Rupert Murdoch at News Group, Richard Desmonds at United Newspapers, Robert Maxwell at Mirror Group, and Richard Branson at Virgin Atlantic Group. In the publishing sector Ramona has also worked with The Guardian, Telegraph Newspapers, The Independent, and The Newspaper Society.In Finance she has worked with Abbey Life, Merrill Lynch Bank of America, Lloyds TSB. In Corporate communications & Branding, Corporate Edge, Likemind, Salter Baxter, Future Brand, Zephyr, Brandhouse, Interbrand, and Landor. Ramona currently works with Radley Yeldar as a consultant helping them in business development and also to support their employee engagement teams by using coaching for performance as part of the implementation process to communicate and achieve impact with Employee Engagement and sustainability programmes and initiatives. Ramona has trained and worked with Sir John Whitmore, guru and founder of ‘Coaching for Performance’, Tim Gallwey, guru and founder of ‘The Inner Game Series.’ She has also worked with Shirlaws Coaching, specialist in business management coaching skills.Ramona has also worked in the UAE speaking at the Abu Dhabi Sustainability Group and moderating some of their seminars. Ramona is a member of The Luxury Marketing Council, Women in The City, The Marketing Society, and the Investor Relations Society UK and The Middle East, and publishing sector advisor for The Industrial Society, managed by Vista, a subsidiary of Standard and Poor’s. Ramona was born in Nairobi, Kenya and educated at Loreto Convent in Nairobi; she went to Chelsea College, University of London.She now lives in London. Mrs. Kiara Konti is a Manager in EY’s Climate Change and Sustainability Services, with subject-matter knowledge and experience in sustainability assurance and advisory engagements. Prior to joining ΕΥ in 2008, Kiara worked for leading Corporate Responsibility boutique consultancies in Greece since 2004. She has an MSc in Business and Community (University of Bath, UK) and a BSc in Business Administration (Deree College, Greece). She has extensive experience with GRI G3/G3.1 and deep knowledge of the GRI G4 Sustainability Reporting Guidelines, along with strong expertise in sustainability management (ISO26000, UNGC) and assurance standards (ISAE3000, AA1000AS). She is a GRI G4 nominated Trainer, having delivered a series of open and in-house G4 trainings and is currently involved in G4 report development engagements. Her overall professional experience reflects a thorough understanding of sustainability management, reporting and assurance, as well as development particularities for the Greek market. She has published a number of articles on sustainability in Greek magazines and newspapers, and has also contributed to international publications. Mr. Aris Vrettos is the global Director for The Prince of Wales’s Business & Sustainability Programme and the Director of open programmes at the University of Cambridge Institute for Sustainability Leadership. He works with international companies and runs seminars in Europe, South Africa, Australia and Brazil. He was previously a senior advisor at the think-tank, AccountAbility where he advised global organisations on leadership and sustainability. He helped General Electric and Merck design and implement their global sustainability and stakeholder engagement strategies and worked with the IFC and the UN Global Compact to promote sustainable finance and business innovation in emerging markets. He is a trained economist and journalist. Mrs. Georgia Kartsanis is the founder and CEO of SARGIA Partners, a unique provider of state of the art human capital development services linked to change strategy. She is also the founder of the Greek and Romanian Chapters of CEO Clubs Int’l. Her forward thinking ability, passion and professionalism allow her to offer unique value to organizations in the area of leadership development with breakthrough solutions and tools. Her international experience is a unique blend of leading change, commercial management career consulting and transformational coaching. Georgia is a certified Master Coach by the Center for Advanced Coaching (CAC) in the USA; certified neuro-coach from the Neuro Business Group (NBG), certified Leadership Agility 360 Assessor by Change Wise and certified by Quantum Entrainment on Mindful Practices as they apply to authentic leadership. She has worked with leaders and leadership teams in the FMCG, financial, technology, pharmaceutical, industrial and green energy sectors. Due to her diversified and vast experience in organizational structure/management matters and unique capability of C- level coaching, she is typically engaged to support leaders in improving their interpersonal impact, agility, creativity and executive presence, as well as strengthening their team’s alignment and effectiveness. Her rich international business career includes a decade as an industry leader in executive search services and 20 years of commercial management experience from the consumer, industrial and technology sectors, working with Stanton Chase, 3M, Philip Morris, TYCO and WR Grace, in Greece, the USA and the Mid East. Georgia sits on the Board of Directors of the American-Hellenic Chamber of Commerce and Chairs the Chamber’s Women in Business Committee. She holds Bachelor’s and Master’s degrees in Chemical Engineering from the University of Massachusetts, USA. Dr. Georgios Kostakos holds MA and PhD degrees in International Relations from the University of Kent, UK, and a Mechanical Engineering degree from the National Technical University of Athens, Greece. He served on the secretariat of the UN Secretary-General’s High-level Panel on Global Sustainability (GSP) as Senior Adviser and Acting Deputy Executive Secretary (2010-2012), and on many other positions at the United Nations, the Hellenic Foundation for European and Foreign Policy (ELIAMEP), the University of Athens, The Hague Institute for Global Justice and the Salzburg Global Seminar. Highlights of Georgios’ career include UN field missions to South Africa, Mexico, Haiti and Bosnia & Herzegovina (1994-1996); spearheading the establishment at the University of Athens of a “Master’s Degree in Southeast European Studies”, bringing together ten Universities from different countries of Southeastern Europe with EU support (1999-2000); serving as Assistant Secretary of the UN Committee on the Exercise of the Inalienable Rights of the Palestinian People (2000-2003); contributing to the preparation of the 2005 World Summit as member of the UN Secretary-General’s Strategic Planning Unit (SPU); working with the UN Framework Convention on Climate Change (UNFCCC) to prepare the High-level Event on Climate Change (New York, 24 September 2007) and subsequently serving as climate change focal point in the Secretariat of the UN System Chief Executives Board for Coordination (CEB) (2007-2010). Mr. Félix Romero Cañizares is the Regional Director for Europe at FSC International. He is BSc in Forestry at Polytechnic University of Madrid (Spain), BSc in Environmental Science at Castile-La Mancha University (Toledo, Spain), MSc in International Development Aid and NGO management at European Institute Campus Stellae, (Santiago de Compostela, Spain) and MSc in Foreign Businesses and International Relations at Politics and Sociologist Spanish Society (Madrid, Spain). As FSC Regional Director for Europe he is focused on coordinating and creating synergies among the FSC National Offices in Europe encouraging the development and improving the performance of FSC Network in the region.Increasing markets opportunities for FSC products in Europe and smallholder certification are two of his major priorities. Before joining FSC, Félix has been Head of Forest Programme at WWF Spain. During ten years at WWF hefocused on forest certification development and increasing the market for forest products, especially in Spain,Congo basin and Bolivia. He coordinated several activities aimed to encourage and facilitate the development of markets conditions, policies and legal measures for increasing certified forest area and their products in the European market. Hewas also member of FSC Spain Board of Directors since 2006 to 2012. Apart from markets, certification and forestry issues, he has coordinated several projects andreports on forest policy, forest degradation, deforestation and restoration in Spain. Additionally, since 2010, he collaborates as a teacher at EOI Business School (Madrid)at the International Master on Sustainable Development and Corporate Social Responsibility. Ms. Aoife Connaughton is the Director of Client Delivery at 2degrees. Having worked as a management consultant with Deloitte specialising in FMCG sector supply chain strategy and operations she joined 2degrees to manage the delivery of our corporate supply chain engagement programmes for clients such as Asda, Tesco, GSK and Kingfisher. Aoife has strong expertise in sustainability strategy development and delivery. She works with our clients and their stakeholders to help them establish and deliver programmes that yield tangible financial and environmental benefits for them and their supply chains. Aoife has a strong academic record with an MBS in Management and Organisational Studies from Smurfit Business School (1st Class Honours) and a B. Comm. International (Spanish) from UCD and the University of Valencia (1st Class Honours) and is currently undertaking a MSc in Applied Environmental Economics at SOAS, University of London. She is a certified Lean Six Sigma green belt and GRI 3.1 & GRI 4 practitioner. 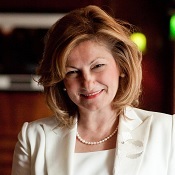 Dr. Despina Anastasiou is currently Country Managerfor Dow Greece and Cyprus. She is a member of the Central European Leadership team. Despina joined Dow Chemical (Australia) in 1990 in Technical Service for Epoxy Products. In 1992, this role expanded to Technology Focal Point for Asia Pacific for the Composites industry, and included a concurrent six-month financial assignment. This was followed by Market Development and then Regional Market Management roles for Epoxy/Thermosets in Asia Pacific in 1996. In 2001, Despina undertook Account Management in ANZ for Dow’s Epoxy, Polyurethanes and Glycols businesses which included regional coordination of strategic coating accounts. In 2004, she served as Pacific Area Market Manager for Monomers and Epoxy Specialties and in 2005 was responsible for Global Market Development, focusing on Dow’s epoxy dispersion and toughening technologies. Thereafter, Despina assumed the role of Chemicals Channel to Market Manager which encompassed distributor and channel strategy development in Asia Pacific. In June 2007, she was appointed Global Marketing Director for Industrial OEM Coatings in the newly formed market facing businesses, and later that year relocated to Shanghai. In late 2010, Despina was appointed Business Development Director, Asia Pacific and was responsible for leading key cross-business growth projects in strategic industries and markets. She lead several cross-business projects including the assessment of Photovoltaic, Energy Efficiency and Mining markets, the latter which lead to the formation of a Mining business within DO&G. Despina assumed her current position in late 2013 and in December relocated to Athens Greece with her family. Despina earned both a B.Sc. (hons) and a Ph.D. in Chemistry from Monash University, Melbourne, the latter degree funded with a Commonwealth Scholarship. She also has a Graduate Diploma in Japanese language from Swinburne University. Despina was awarded a Pinnacle Award for Sales Excellence in 2002 and received commercial Six Sigma Black Belt certification in 2004. Dr. Karampasis Ioannis studied at the University of Patras (Chemical Dept), and at the University of Oxford (D.Phil., Physical Sciences, Chemistry). He worked for the creation of the National Documentation Centre at the National Hellenic Research Foundation and he contributed for thirteen years to its consolidation. Main specialized contributions was the creation of the “National Archive of Doctoral Dissertations” and the implementation of the Hellenic Research Antenna (HERA) Greek – European Project, which led to the operation of the two Innovation Relay Centers in Greece. Following step was to take the Position of the Managing Director of Patras Science and Technology Park SA. He comes back to Sustainable Development through Innovations working as a Consultant. In 2009 he co-founds Green Evolution SA a company dealing with aspects related to environment, energy and carbon finance which offers specialized related technological – financial services. 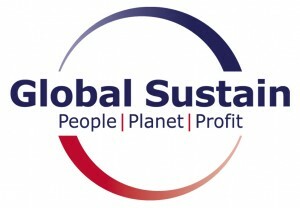 His business function since then, focuses on “green sustainable business and organizations operation”, carbon footprint accounting and labeling, sustainable development, with an emphasis towards the assimilation of technological and organizational innovations, and on business projects for obtaining/ awarding environmental and climate related green labels. He has contributed for the development of the “CO2 Neutral Seal” Certification Scheme of Green Evolution by embodying to it practices, recommendations and guidelines of the respective international standards and protocols and combined and articulated internationally accepted best practices into this so as to become a compact system which every stage been transparent and traceable.